Ellen J. Messing, Esq. , Gretchen K. Pratt, Esq. , Jaclyn L. Kugell, Esq. William J. Dailey, III, Esq. Donald L. Pitman, III, Esq. © 2019 Massachusetts Continuing Legal Education, Inc. All Rights Reserved. 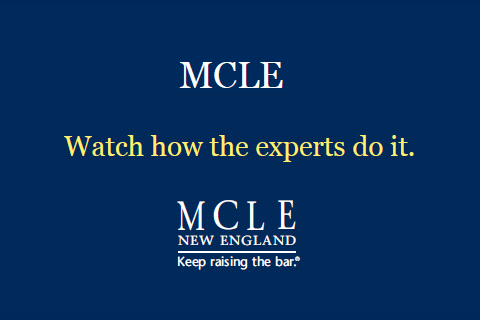 MCLE | New England® is a registered trademark of Massachusetts Continuing Legal Education, Inc.